20-year-old student Mark Paul Espelita from Sta. 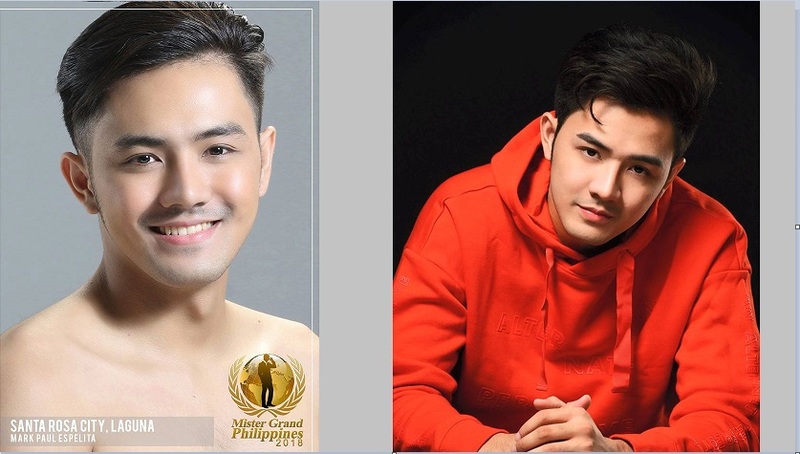 Rosa, Laguna was named Mister Model of the World Philippines 2018 at the Mister Grand Philippines 2018 coronation night held on June 2 at the Crossroad Center, Quezon City. The 6'1" tall model is currently taking up Bachelor of Science in Business Management at University of Perpetual Help Systems-Biñan Campus. The title earned him the right to represent the Philippines at the Mister Model of the World 2018 competition in Myanmar this August.